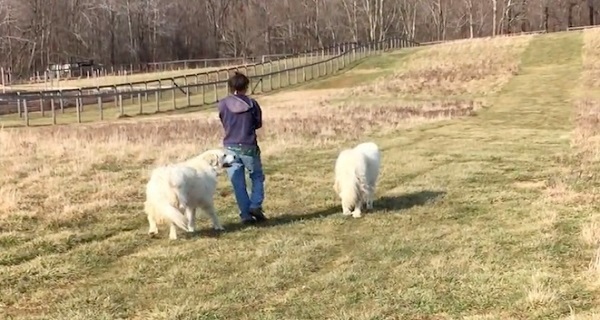 This woman is out for a walk with her two Great Pyrenees dogs when she is joined by some other animals on the farm! Check out how their stroll becomes an adorable farm animal parade. So cute! Share this funny video with your family and friends!